Our first full day in California started with a walk along the seafront. Even though we were in town there was plenty of wildlife to see – black oyster catchers, albatross, Californian sea lions (some lazing on the rocks just feet away from us) and sea otters playing in the kelp. We spent some time exploring Cannery Row – old sardine canneries which have been turned into shops, galleries, restaurants and an aquarium. We made it to the aquarium just in time to see the sea otter feeding, it was magical seeing these fluffy sea mammals up close – they are much bigger than the fresh water otters I have seen in the UK. My other highlight was the jellyfish exhibition, it looked more like a modern art installation than a conservation project, I could have watched the jellyfish for hours. The aquarium, and general Monterey Bay Area wildlife, star in BBC’s Big Blue Live, which should still be available on iPlayer if you want to see where we’ve been. After the aquarium we went for a scenic drive around the headland to Carmel, via a picnic at Lover’s Point (had to be done) and the famous 17 mile drive route. Jen did a bit of the driving and did really well considering she’d never driven a left hand drive car, outside the UK or an automatic previously, and our Challenger is twice the size of her Fiat 500! Carmel was an interesting little town. It didn’t feel like we were in California, it reminded me of Costa Rica, it felt very hippyish. We had a lovely time wandering around and a tasty clam chowder for dinner. 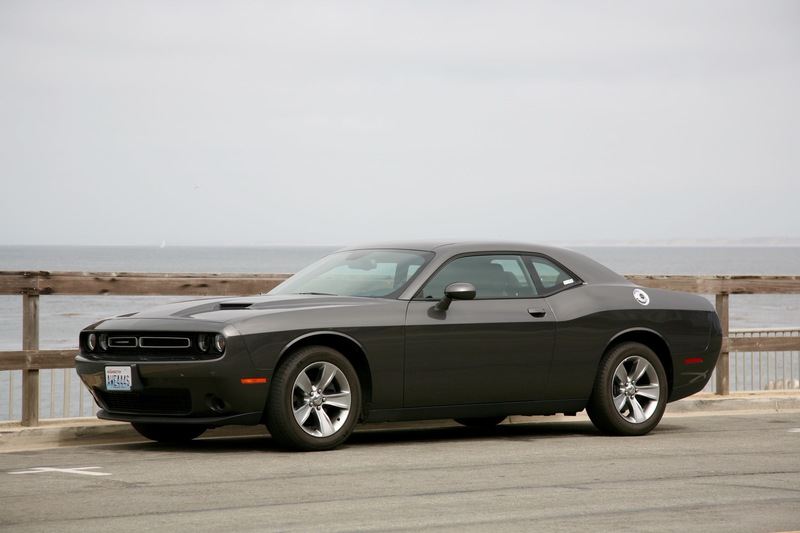 This entry was posted in Roadtrips and tagged California, Challenger, Honeymoon, Photo by Lewis. Bookmark the permalink.